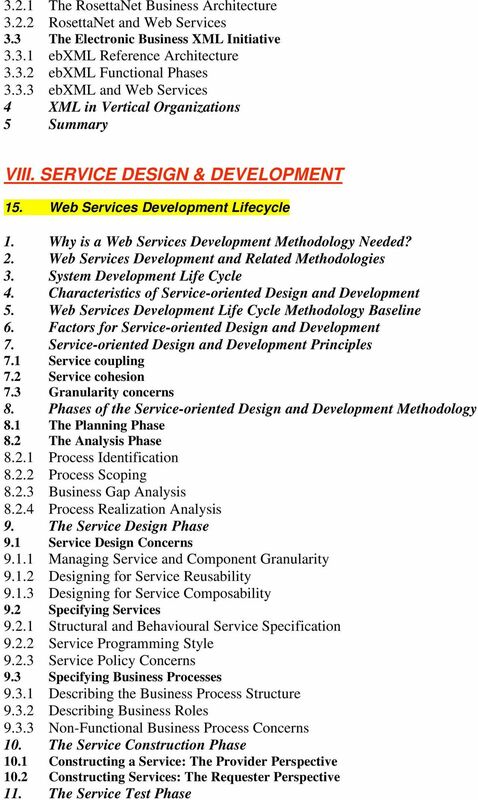 Download "Principles and Foundations of Web Services: An Holistic View (Technologies, Business Drivers, Models, Architectures and Standards)"
VALLIAMMAI ENGNIEERING COLLEGE SRM Nagar, Kattankulathur 603203. 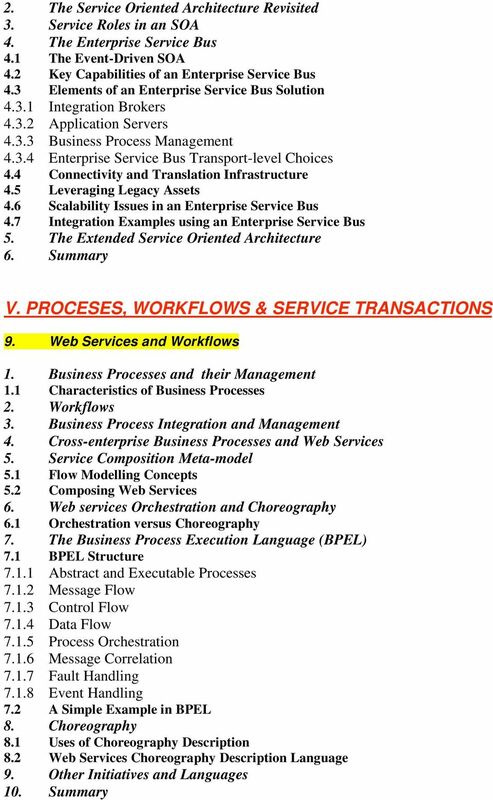 EAI OVERVIEW OF ENTERPRISE APPLICATION INTEGRATION CONCEPTS AND ARCHITECTURES. Enterprise Application Integration. Peter R. Egli INDIGOO. SOA REFERENCE ARCHITECTURE: SERVICE TIER SOA Blueprint A structured blog by Yogish Pai Service Tier The service tier is the primary enabler of the SOA and includes the components described in this section. To ESB or Not to ESB? 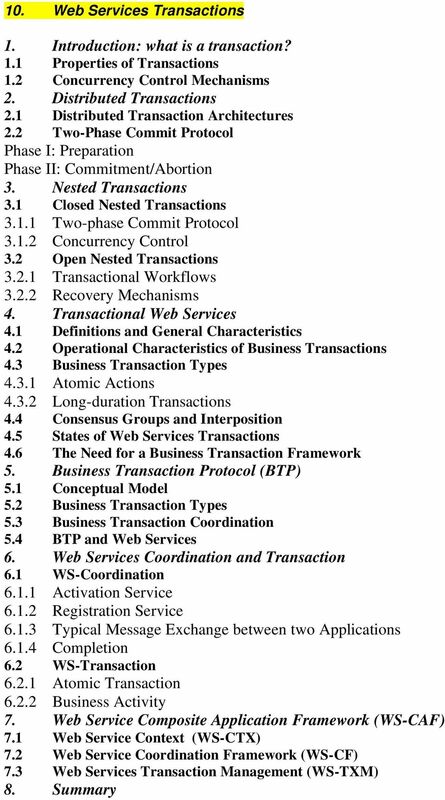 Do you have to have an ESB to have a SOA? 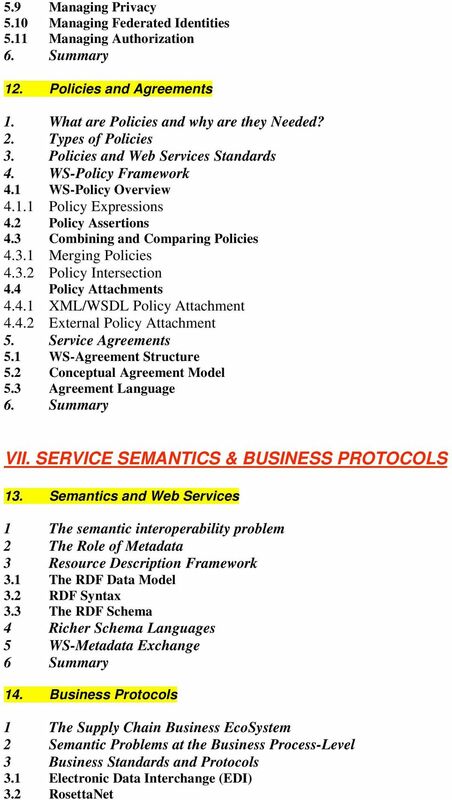 (WS) Adomas Svirskas Agenda Background and the need for WS SOAP the first Internet-ready RPC Basic Web Services Advanced Web Services Case Studies The ebxml framework How do I use/develop Web Services? Architectures, and. Service-Oriented. Cloud Computing. 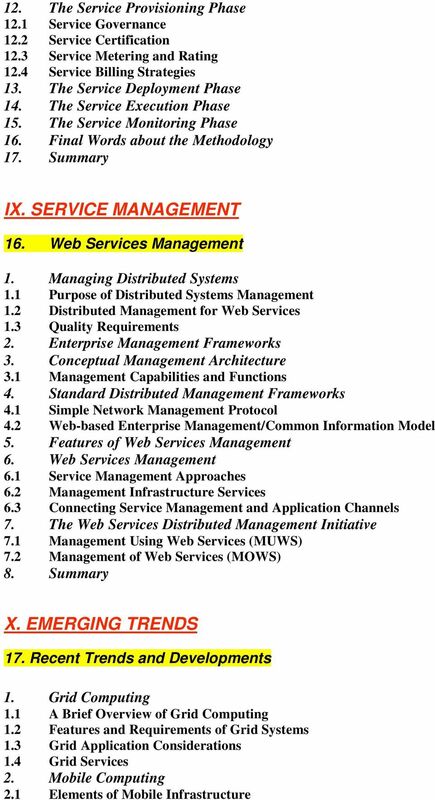 Web Services, The Savvy Manager's Guide. Second Edition. Douglas K. Barry. with. 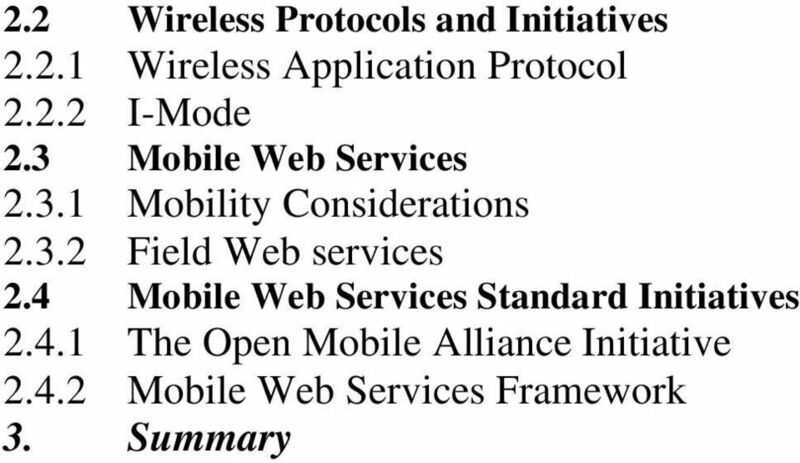 This Working Paper provides an introduction to the web services security standards. SOA Planning Guide. 2015 The Value Enablement Group, LLC. All rights reserved. 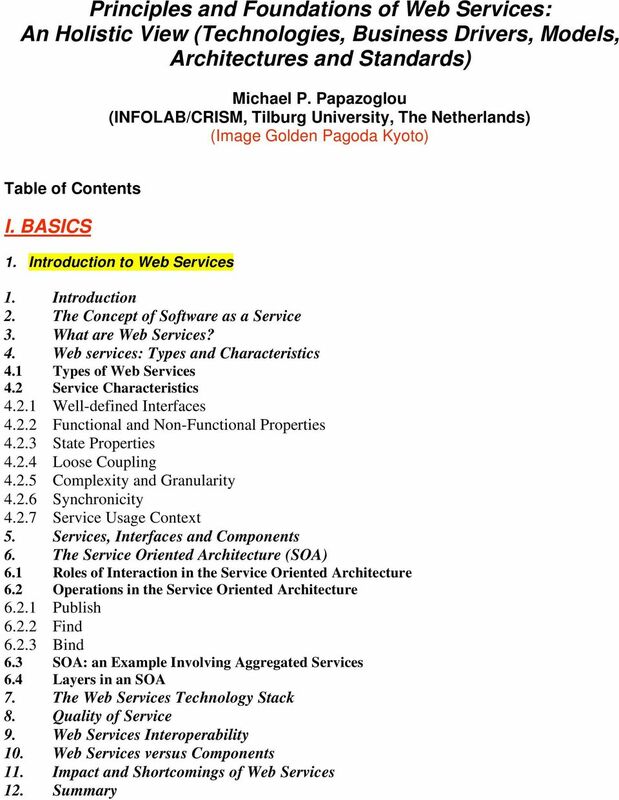 1 What Are Web Services? 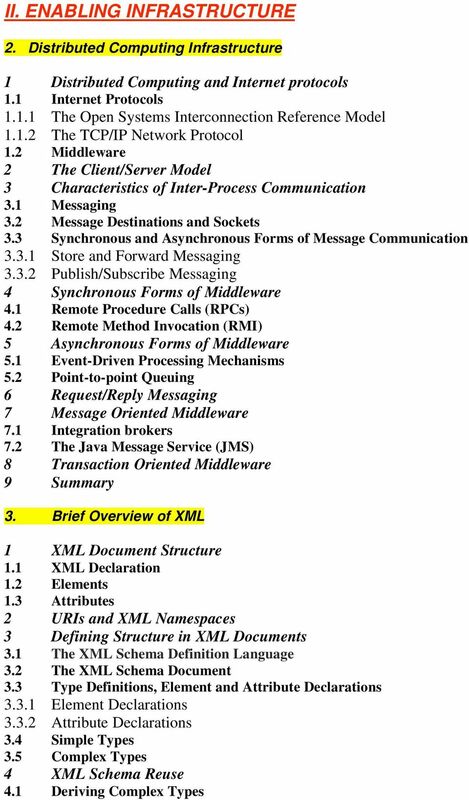 Table of Contents Acknowledgements... v Document Conventions... vi 1. Introduction and Purpose...1 1.1. Profile Selection Guidance...1 1.2. Usage...1 1.3. Profiles, Standards, and Recommendations...2 1.4. 1 OTM and SOA Mark Hagan Principal Software Engineer Oracle Product Development Content What is SOA? What is Web Services Security? 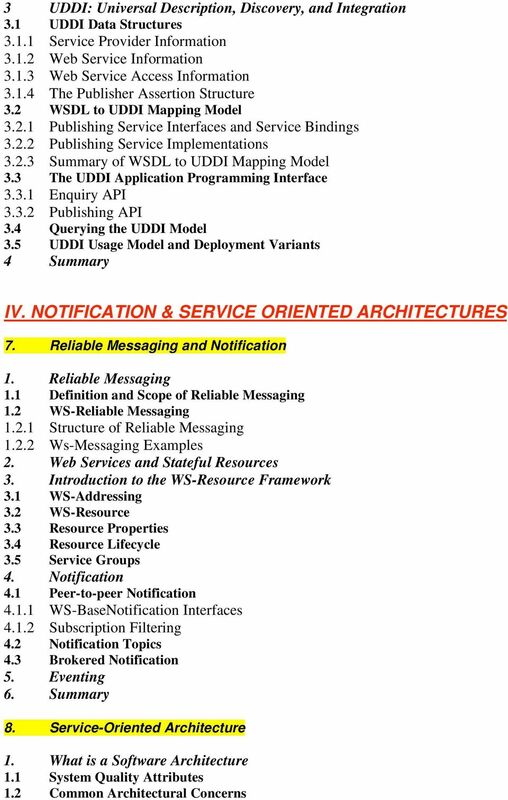 Web Services Security in OTM Futures 3 PARADIGM 4 Content What is SOA?